Senator Dino Melaye who is challenging moves to recall him by his constituency is in fresh trouble: the Police said they have filed a case in court accusing him and three other persons of illegal possession of firearms. Police spokesman Jimoh Moshood, announced the move today in a statement. The police took the action, following the confession of two ‘dreaded’ thugs who claimed they were working for Melaye, who represents Kogi West in the Senate. The men were arrested on 19 January at Ogojueje in Dekina Local Government Area of Kogi State, after a shootout with the police and have confessed being hired by Melaye, to cause mayhem in the state, Moshood said. One of the persons arrested was identified as 31 years-old Kabiru Saidu, a.k.a Osama. The other was Nuhu Salisu, who is 25 years-old. The third person charged to court was identified as Alhaji Muhammed Audu, a politician, who is now said to be at large. The police said they seized from the thugs and their gang members , two AK47 rifles, five pump action guns, two locally made pistols and heaps of charms. According to the police, the men not only confessed to have been involved in several kidnappings in the state and environs, they also claimed to be hired thugs for politicians. “According to the gang leader, Osama, he has been working as a political thug for one Alhaji Mohammed Audu a Politician in the State. ” He said Alhaji Mohammed Audu invited him to Abuja and introduced him to Senator Dino Melaye and they met on Airport road, Abuja inside the Senator Dino Melaye’s Car in the month of December, 2017. 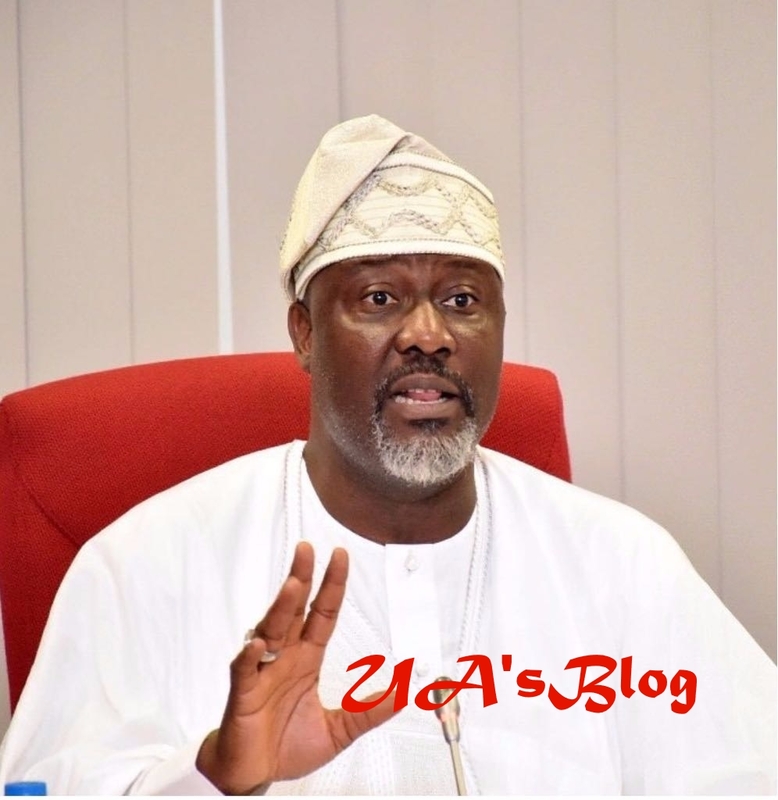 “The suspect further confessed that Sen. Dino Melaye told him that they should start working for the Senator as his political thugs and they should recruit and train more other(sic) thugs to work for him in preparation toward 2019 General election to enable him ( Sen. Dino Melaye ) challenge his political opponents and disorganised Kogi State. The police said Osama further confessed that Melaye handed over a bag containing one AK47 rifle, two Pump Action guns and the N430,000.00 to share with his boys. “Consequent on the indictments and criminal confessions against Senator Dino Melaye by the principal suspect KABIRU SAIDU a.k.a OSAMA “31 YRS”, Nigeria Police Force, wrote a letter dated 2nd of March, 2018 addressed to the Senate President, Federal Republic of Nigeria informing and requesting him to release Senator Dino Melaye to report to Commissioner of Police, Kogi State Command on the 7th March, 2018 to answer to criminal offences levelled against him, to enable the Police carry out a discreet investigation into the confessions of the principal suspect against Senator Dino Melaye. But Senator Dino Melaye have refused to honour the Police invitation till date. “A case of Criminal Conspiracy and unlawful possession of prohibited firearms have therefore been filed by the Nigeria Police Force at Federal High Court Lokoja on 16th March, 2018 against the two suspects mentioned above, Senator Dino Melaye and Alh. Mohammed Audu who is also a suspect in the matter and is now on the run.